A Stationery Studio exclusive! Make meal time extra fun with these beautiful floral personalized placemats. These personalized placemats are available as individual laminated placemats or as a pad of..
A Stationery Studio Exclusive! Your table will be extra special with beautiful personalized placemats. These modern floral personalized placemats are available as individual laminated placemats or as..
A Stationery Studio exclusive! Make meal time special with these stunning floral placemats. These personalized placemats are available as individual laminated placemats or as a pad of 25 high quality..
A Stationery Studio exclusive! 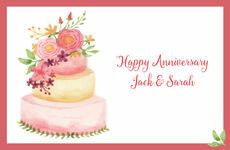 Your next event will be memorable with these delightful personalized placemats. 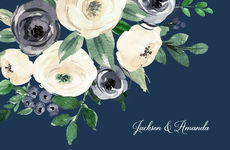 These personalized placemats are available as individual laminated placemats or as a pad..
A Stationery Studio exclusive! 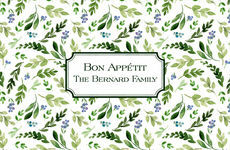 Make meal time something to remember with personalized placemats. These pretty floral personalized placemats are available as individual laminated placemats or as a pad..
A Stationery Studio exclusive! Make meal time memorable with personalized photo placemats. These personalized photo placemats are available as individual laminated placemats or as a pad of 25 high..
A Stationery Studio exclusive! Make meal time extra special with personalized placemats. 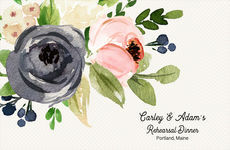 These beautiful personalized floral placemats are available as individual laminated placemats or as a pad of 25..
A Stationery Studio exclusive! Make meal time extra special with these gorgeous floral placemats. These personalized placemats are available as individual laminated placemats or as a pad of 25 high..
A Stationery Studio exclusive! 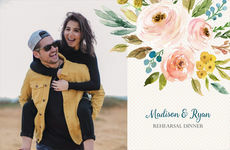 Make your event extra special with personalized photo placemats. These personalized photo placemats are available as individual laminated placemats or as a pad of 25..
A Stationery Studio Exclusive! Make your next party extra special with personalized placemats. These beautiful personalized placemats are available as individual laminated placemats or as a pad of 25..
A Stationery Studio exclusive! Add some extra detail to your table setting with personalized placemats. 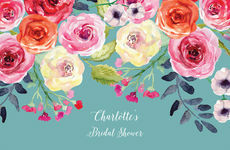 These personalized floral placemats are available as individual laminated placemats or as a pad..
A Stationery Studio exclusive! Your table settings will be memorable with these beautiful placemats. These personalized placemats are available as individual laminated placemats or as a pad of 25 high..
A Stationery Studio exclusive! 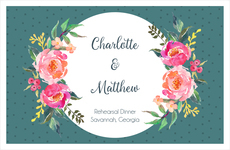 Your event will be memorable with these floral personalized placemats. These personalized placemats are available as individual laminated placemats or as a pad of 25..
A Stationery Studio exclusive! These pretty floral placemats will dress up any table or event. These personalized placemats are available as individual laminated placemats or as a pad of 25 high..
A Stationery Studio exclusive! Make meal time extra special with personalized photo placemats. These stylish personalized photo placemats are available as individual laminated placemats or as a pad of..
A Stationery Studio Exclusive! 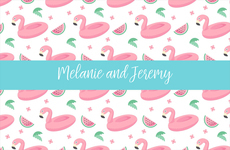 Make meal time extra special with a personalized placemats featuring pretty flamingos. These adorable placemats are available as individual laminated placemats or as a..